Let Color Name unleash the sleeping poet in you. 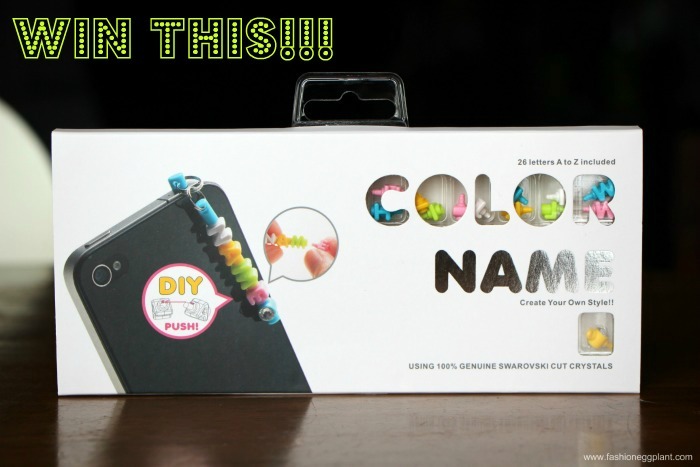 Colorname is a nifty gadget accessory that allows you to compose personalized statements for your phones. 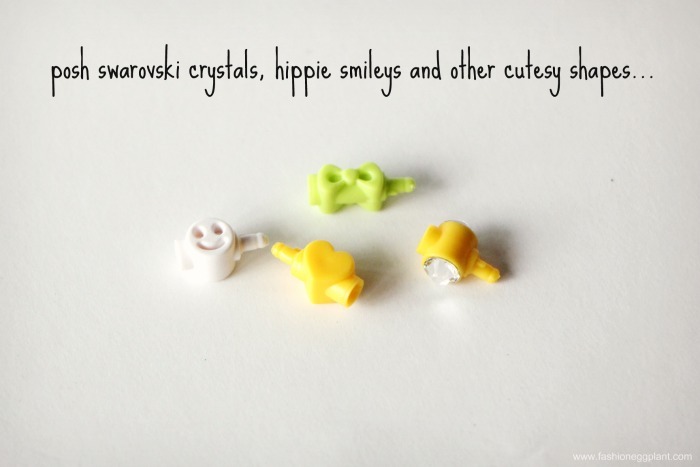 Each kit contains simple, connectable alphabets, stoppers, accent shapes (which include 100% genuine swarovski cut crystals) and attachments that you can use to create key rings, ear-plugs or those little things you hang to the side of your phones for cute-sy purposes only. Really, it's up to you. The possibilities are endless and only your imagination is the limit. DOH! - for Dennis, because he reminds me of Homer in so many more ways than one. SARAH - because I have this (sort of) retarded (no offense :P), obssesive-compulsive urge to spell my name each time I'm presented with letters. And here's where YOU come in. I am SURE you can come up with better statements than I did so here's your chance to show the world (not really) how creative you are. Special thanks to the people behind QT Gifts and Accessories, one lucky Fashion Eggplant reader with the most striking statement will get to take home a Colorname Kit of their own to play with. Tweet "Unleashing the inner poet in me with #Colorname and @sarahtirona: http://www.fashioneggplant.com/2013/07/giveaway-colorname-diy-kit.html "
Leave a comment on this post with your name, email, tweet URL and the wittiest statement you can come up with (no need for explanation). will choose a winner on July 31, 2013. "My life is faith, I trust. I want loyalty, I'm honest. I have self-control, I deserve freedom. I am loved, I smile." I'm a nerd, a good-looking one! Kiamsai - the sweetest word my other half been calling me since we met. It's a chinese word. I don't just chase my dreams, I MAKE IT HAPPPEN. wittiest statement: NEVER GIVE UP! Hindi ko maipapangako ang maganda buhay, magandang lahi puwede pa! My son is my future. Age is mostly a matter of mind. If you don't mind, it doesn't matter.